The Denver metro area is full of a variety of wonderful neighborhoods. From upscale hip city living to quiet historic areas to the nearby beautiful suburbs. Find out which neighborhood best suits you and your lifestyle needs! 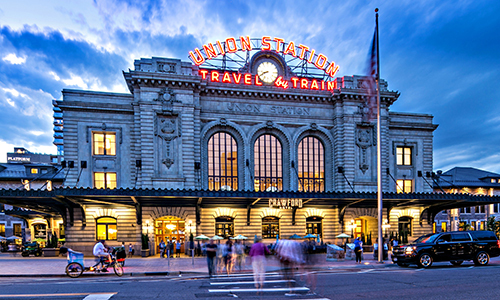 Denver, Colorado — The Mile High City — is where urban sophistication meets outdoor adventure. 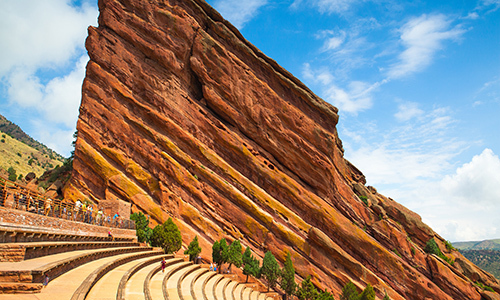 Denver is an outdoor city known for its world-class cultural attractions, thriving craft breweries, chef-driven dining and red-hot music scene, all within easy reach of the Rocky Mountains. Denver is also a hub for chef-owned restaurants and is at the forefront of the food hall revolution. Denver has many vibrant neighborhoods, from LODO to Cherry Creek, there is a vast array of diverse neighborhoods. The fifth-largest city in the Denver metro area, this suburb to the west of the city has one of the best views of the Rocky Mountain foothills. 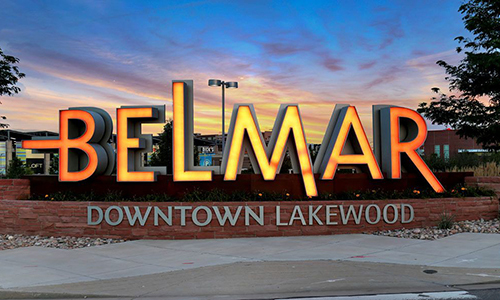 Lakewood’s downtown Belmar area, complete with shops, restaurants, a movie theater and pedestrian-friendly spots, has emerged as a local hangout that attracts visitors from surrounding areas. With more than 80 maintained parks, Lakewood is also one of Denver’s top places for outside activities. 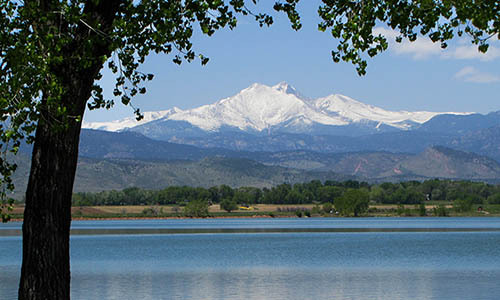 The city of Arvada, located just northwest of Denver, offers visitors a small town feel. 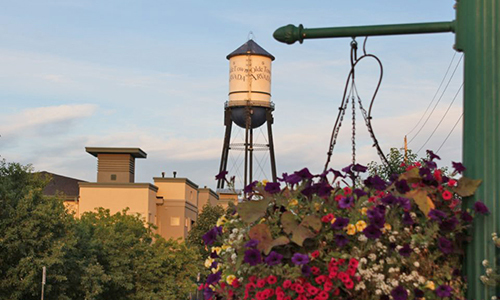 Much of the community’s charm stems from the turn-of-the-century Main Street Americana ambiance of Olde Town Arvada, with its numerous restaurants, bars, breweries, galleries and shops. 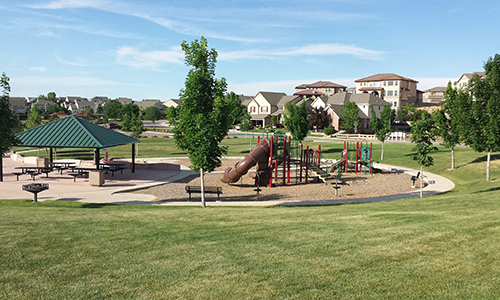 Arvada boasts 90 parks within city limits and festivals and farmers’ markets nearly every weekend. Westminster is a growing suburban community that offers a wide choice of housing, excellent schools and public facilities. With direct access to major highways, Westminster’s central location between Denver and Boulder puts it within easy reach of major business centers, retail centers and a variety of entertainment and recreational facilities. 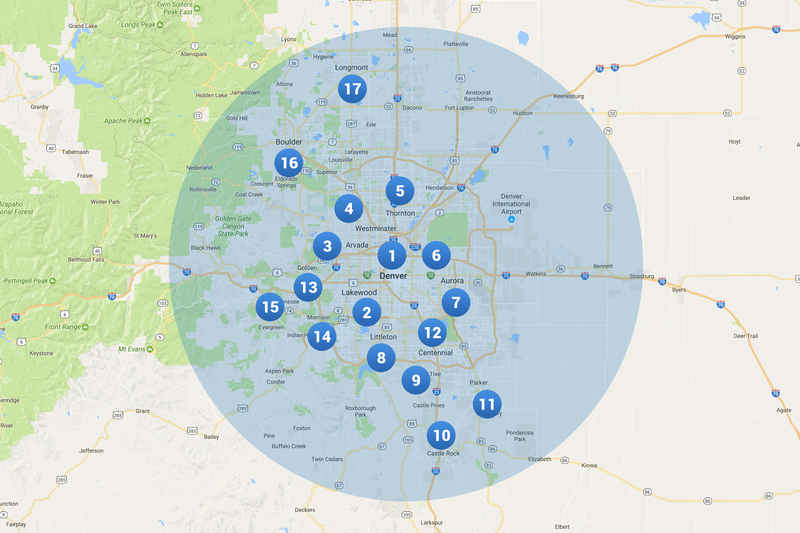 Activities in Denver or Boulder are a 20-minute drive in either direction, and the drive from Westminster to Denver International Airport takes approximately 30 minutes. Just 10 miles northeast of Denver, Thornton is a relatively new city. Thornton boasts nearly 1,000 acres of developed park and recreation centers, and 230 acres of open space — land preserved from development. With miles of urban trails that connect to Denver’s 85-mile network, Stapleton is a peaceful escape from the hustle and bustle of downtown. The neighborhood is home to many parks and open spaces, including Central Park, a haven for dogs, joggers, cyclists and Rollerbladers. 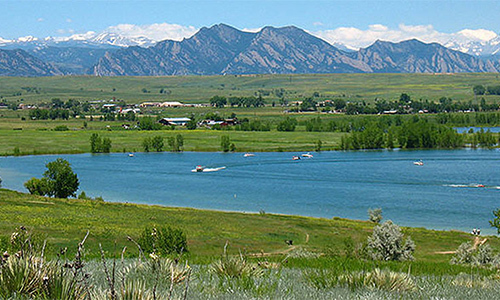 Biking and hiking paths connect the area to the 17,000-acre Rocky Mountain Arsenal National Wildlife Refuge, where city gives way to prairie. Just minutes away from Denver International Airport, Aurora is home to a vibrant business environment, including major industries such as aerospace and defense, renewable energy, bioscience and health care, and transportation and logistics. Tree-lined streets, open prairie, majestic views of the mountains and ample neighborhood parks make Aurora neighborhoods a comfortable place to call home. Options for home buyers range from modest townhomes in well-maintained communities to large new construction single family homes. 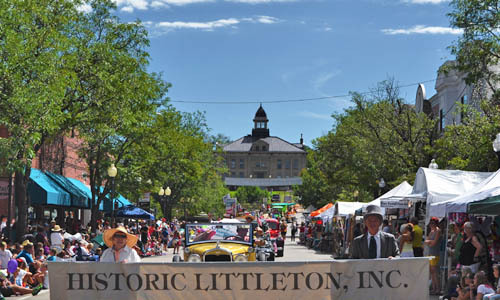 Explore local history and art at the kid friendly Littleton Museum, or enjoy live music, food, and fireworks while you get to know the neighbors at the Littleton Main Street Block Party. If you have kids or want to raise a family, the Littleton public schools are an excellent option for your child’s education. 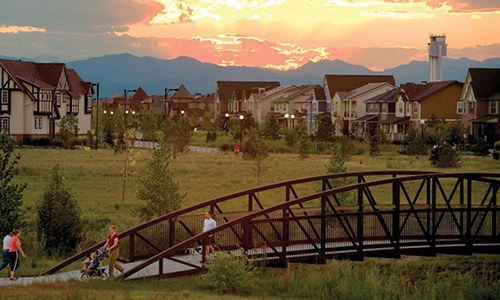 Highlands Ranch is a 22,000-acre master-planned community founded in 1981. The community has a population of 96,000 people. Highlands Ranch is located 12 miles south of Denver in Douglas County and offers a wonderful quality of life and opportunities for an active lifestyle. Highlands Ranch has been named by NerdWallet as one of the best places to raise families in Colorado, recognized nationally by Forbes as one of the top places to move in the nation. Business Week also named Highlands Ranch one of the best places to raise kids. Castle Rock isn’t just one of the best Denver suburbs, it’s also one of the safest, with the second lowest total crimes per 100k. Modern condos and large single-family homes are common in this suburb. Grab a bite to eat at Union: An American Bistro, or enjoy the beautiful Colorado weather and a beer on the open-air patio at Maddie’s Biergarten. 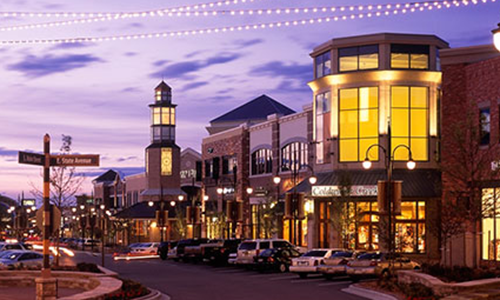 The Outlets at Castle Rock provide convenient shopping for fashionistas looking for a steal. 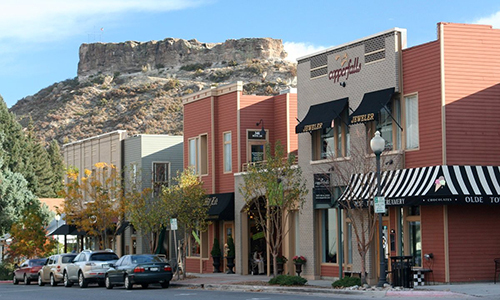 Potential residents looking for a close-knit community will find it at downtown Castle Rock’s numerous events, from kid-friendly movie nights on the first Saturday of the month, to adult-oriented activities like Whiskey and a Western Movie Night. Parker, located in Douglas County with easy access to the Denver metropolitan area, is known for its unique Western-Victorian downtown and its hometown feel. The Cherry Creek Trail runs along Cherry Creek, north and south through Parker. Bicycling, hiking, nature walks, and cross-country skiing are all popular uses. Just to the south of gorgeous Cherry Creek State Park lies Centennial Home buyers will find a range of housing options, from small modern condos to large single family homes. See a show at nearby outdoor Fiddler’s Green Amphitheater, which hosts acclaimed musical artists with a backdrop of mountain views. 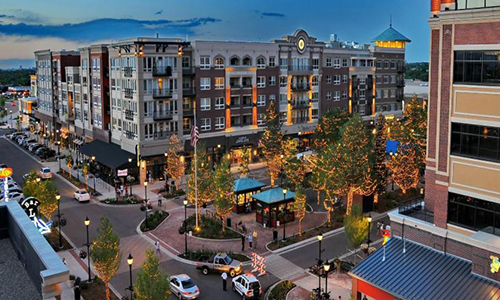 Enjoy beautiful weather, food, shopping, and a flick at convenient outdoor shopping center, The Streets at SouthGlenn. Families with young children will love Centennial’s excellent Heritage Elementary School. The Wild West is still alive in Golden, Colorado’s territorial capital until 1867. Upon arriving in Golden, you are welcomed with an old-fashioned wooden arch over Washington Street reading: “Howdy Folks! 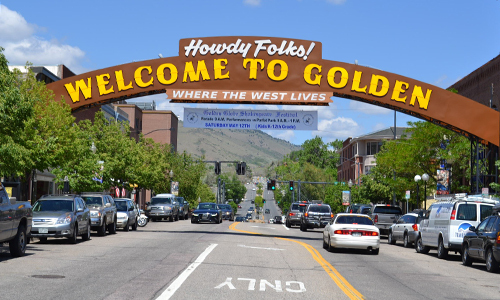 Welcome to Golden!” Today, it’s home to six museums; Coors Brewery, one of the largest brewing facilities in the world; and a downtown filled with shops and restaurants. If you’re looking for outdoor adventure, Golden is also home to miles of hiking trails for all levels, some stellar rock climbing and Clear Creek, which runs through the center of town and offers whitewater rafting and excellent fishing. With its secluded, small-town feel and plenty to see and do, Golden is a great daytrip option from Denver. This town to the west of Denver, at the bottom of winding Bear Creek Canyon, is perhaps most famous for the nearby natural outdoor concert venue, Red Rocks Amphitheatre. 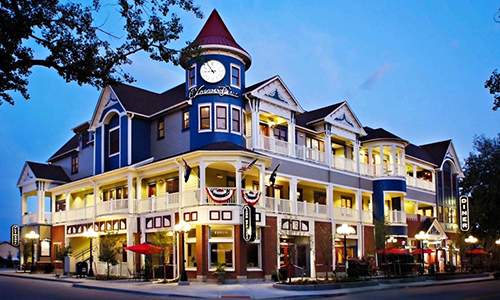 Its tiny main street strip is filled with restaurants, quaint shops and antique haunts. Near town, a bike path skirts Bear Creek and leads to an extensive trail system and reservoir. 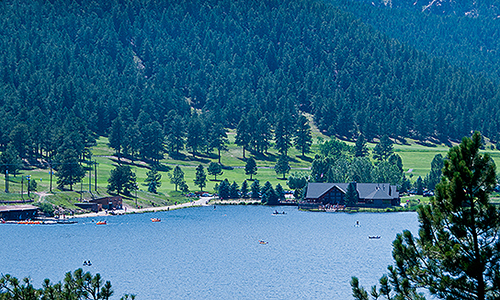 Located 30 miles from Downtown Denver, Evergreen is a quiet, picturesque mountain community cradled in the Rocky Mountains at an elevation of about 7,000 feet. Within commuting distance of the city, Evergreen comes complete with free roaming wildlife and fragrant forest. The abundance of recreational opportunities include parks, art galleries, theaters, restaurants, entertainment, and more. Evergreen is a desirable location for those wanting to live in the mountains and commute to Denver. 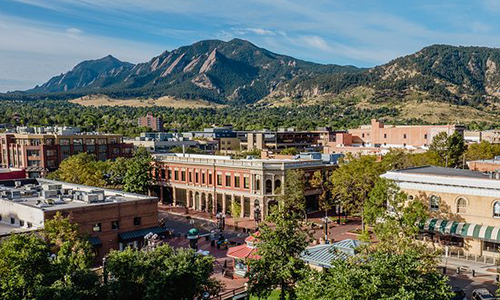 Residents who aren’t quite ready to give up a city vibe, but want somewhere a little smaller than Denver to call home will be drawn to the dining, shopping, and nightlife in Boulder. Chic modern condos are the most common housing option here, but single family homes on large lots are also available. Boulder residents get the best of both worlds. Get back to nature at Boulder Mountain Park or grab a drink and bite to eat at Mountain Sun Pub & Brewery. 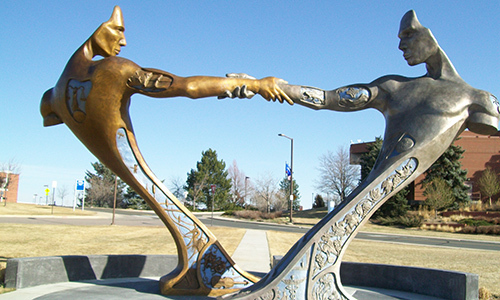 Longmont is a diverse, multicultural and receptive city, one in which it’s easy for people to make connections and to thrive as part of the community.